Unveiled at CES 2019 in Las Vegas, USA, the BMW self-riding, riderless concept shows us what the future of motorcycles would look like. This technology will be incorporated in the company's future Motorrad bikes. Don't get too excited yet, the bike won't be made commercially available for public purchase. BMW's intention for this project was just to test the technology in a bid for research and development to provide advanced rider assistance system for the near future. Of course it would be so weird to see a riderless and self-riding motorcycle on the road with a passenger at the rear seat. How hilarious! The bike itself has been in development for only three years and the bulk of the technology that makes the self-riding function possible is already equipped on most modern Beemers, namely the advanced gyroscope that enables the bike to accurately determine its angle of lean. 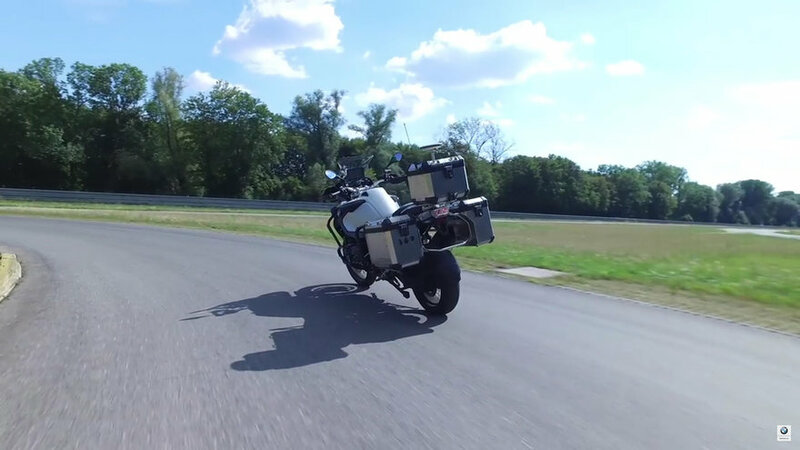 The hardware changes to bring things like adaptive cruise control and automatic emergency braking to the bike would amount to just a few hundred dollars difference in cost, according to Dr. Karl Viktor Schaller, head of development for BMW Motorrad. Further, Dr. Schaller assured Roadshow that these technologies were only a few years away -- meaning more than 2, less than 10 -- and that when they did debut, it would be on the R-series touring bikes first. BMW sees the inclusion of advanced rider-aid systems as mandatory in a future where autonomous vehicles are the norm. While the tech wouldn't ride the bike for the rider, it could be used to help teach novice riders how to be safer on their new motorcycles, and it could also be used as a riding coach to help advanced riders come closer to the limits of their high-performance racing machine.